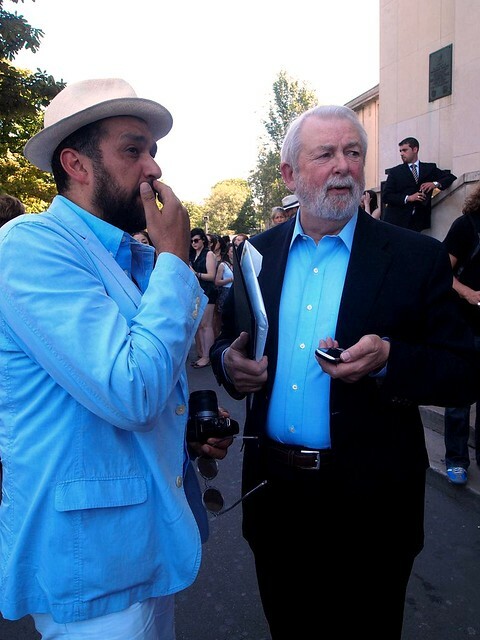 It's Day 2 of Paris haute couture week and I was really looking forward to the big ticket shows today. And I wasn't disappointed - I saw the venerable Anna Wintour, fashionably chic Olivia Palermo (dressed in Zara and still looking so expensive), my favourite model Liu Wen and the most friendly fashion editor, Anna Dello Russo. She is really very fun to photograph, and really nice to everyone. After being in less than 2m away from Anna Wintour, I now understand why people say she's scary. She just exudes a sense of "I'm better than you, don't mess with me" air. It's the air of powerful women that are guarded and knows how to use their power. 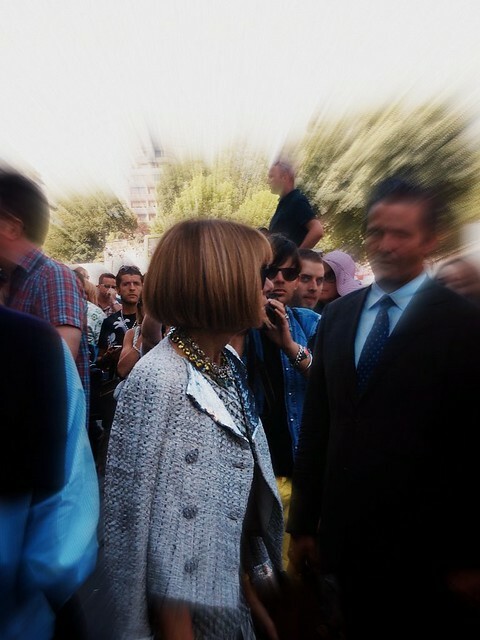 And now I also know why Anna Wintour keeps her severe bob cut after all these years --- her hair covers her entire profile so it's impossible to get a photo of her face at the side. This woman is incredible. Also overheard post-Armani couture show from Mr Colin McDowell on Dior couture show the day before: "It's as if they're trying to erase our memory of John Galliano". Looks like Dior's first couture show without Galliano after 16 years was met with lots of rotten tomatoes and I understand why. From its geometric prints to its clashing colours and overall messy aesthetic, the show didn't show a collected cohesiveness or vision for Dior for its next 16 years. It didn't look elegant, and it most certainly didn't look like couture that women would want to wear for social parties. Couture should be understated in the sense that depends solely on dramatic traditional luxurious fabrics such as fur, feathers and leather; nor should it be cliche (eg long silk trains and swarths of chiffon and lace embriodery). I feel that couture should warrant a sense of desire in women, created to make them feel beautiful and otherworldly. The Armani show had obvious Japanese influences from its wide obi belt to the sakura flower motifs on the dresses and accessories. Most of the dresses also maintained a pencil silhouette with strong peaked shoulders, which I must say looked interesting coming from Armani. 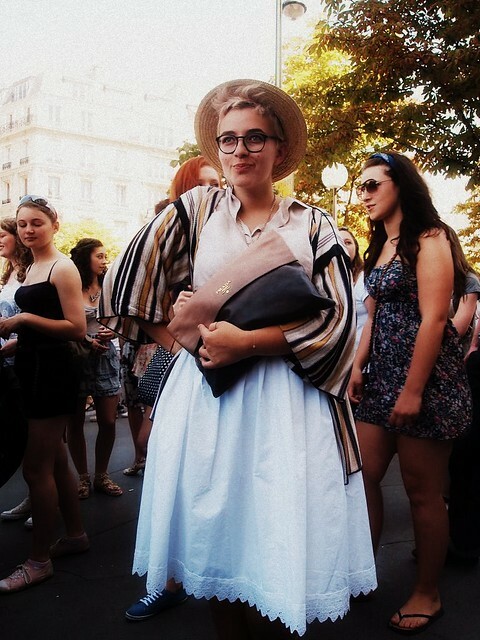 Fashion journalist from Austria living in Paris. Love her look! 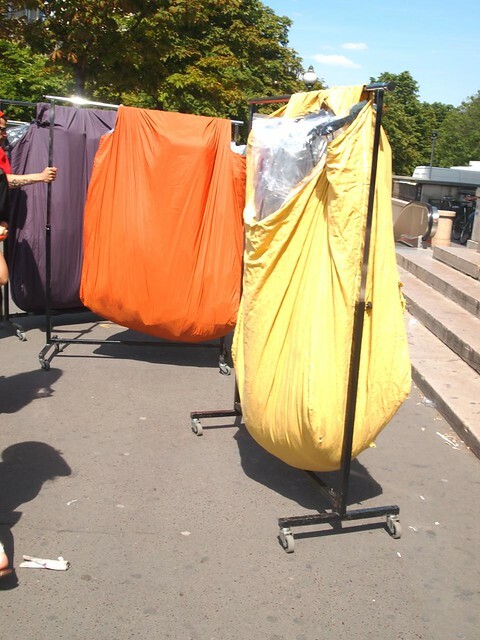 Bags of Armani Prive couture gowns brought outside. Very tempting to steal. Olivia Palermo. Can you believe she's wearing Zara? Love her bag and shoes that she designed herself. Talked to her briefly - she's really nice. 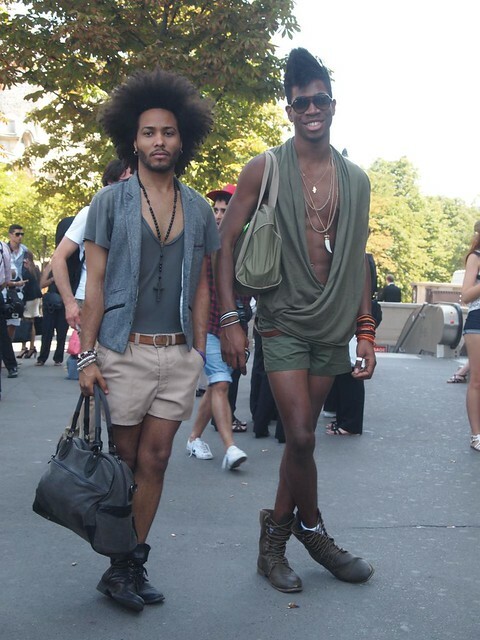 My second day as a novice streetstyle photographer proved to be an eye-opening experience, and not in a good sense. I was roughly shoved aside by one guy when I tried to take photos of a model post-show. And then I was almost squashed by this swarm of photographers that were crowding around a celebrity who was trying to exit the Armani show. As the celebrity moved to her car, the swarm of photographers just surrounded her. It was like a swarm of ants surrounding a sugar cookie. Thank god for tall, handsome bodyguards outside Armani. Mr Giorgio Armani was gracious enough to exit through the main door after his show and waved briefly to the crowd and stopped to pose for photos, but unfortunately he was chased after by photographers long after he descended the steps of Challiot Theatre where he staged his couture show. Yay pretttty photos, they turned out great! Also could you send me the photo you took of me by trocadero? I wanna see it!